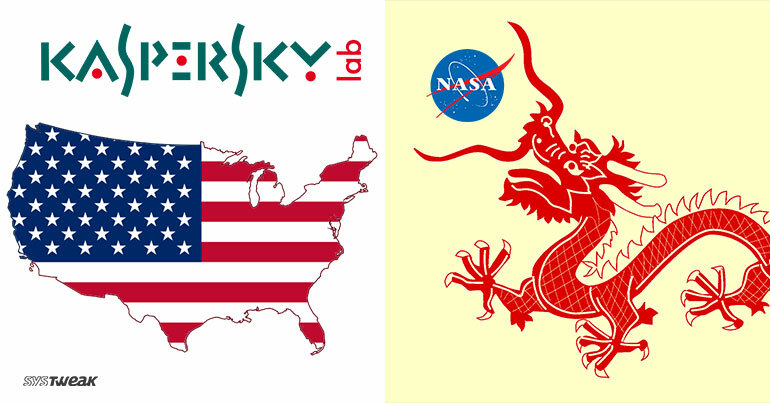 Kaspersky lab products deemed as threat to US Homeland Security cyberspace, in fear of possible influence from Kremlin. In a recent turn of events, the Trump Administration issued a ban on the use of Russia based Kaspersky lab software by government agencies. This was explained as the administration fears the Moscow based cybersecurity firm could have ties with Russian intelligence. According to the statement, “The Department is concerned about the ties between certain Kaspersky officials and Russian intelligence and other government agencies, and requirements under Russian law that allow Russian intelligence agencies to request or compel assistance from Kaspersky and to intercept communications transiting Russian networks.” US Homeland Security too ordered its agencies to identify and remove Kaspersky software from their networks and systems within 90 days. IS THERE ANY TRUTH TO THIS ALLEGATION? While this might’ve come off as a surprise to many, there was already suspicions building against the Russian Cybersecurity firm. A lot of US security and investigation agencies had pointed out Kaspersky’s possible involvement in the 2016 US Presidential Elections hack. Although there was no evidence showing Kaspersky’s direct involvement, them being based out of Moscow seems enough to put them in doubt; at least for the Trump administration. In addition to these baseless allegations, Best Buy also removed Kaspersky Labs products off their shelves, sparking further concerns. Moreover, Federal Intelligence agencies also believes that it is impossible for Kaspersky Labs to operate without Russian influence since Kremlin maintains a tight influence on enterprises and most companies are state owned. WHAT DOES KASPERSKY HAVE TO SAY? However, it surely doesn’t help that Kaspersky Labs. CEO, Mr. Eugene Kaspersky has close ties with Russian Ministry of Defence and KGB. The new rocket propulsion system works on a ‘reactionless’ electromagnetic drive resulting in a zero-exhaust thrust. Almost a year ago, National Aeronautics and Space Administration (NASA) shared the details for their experimental Electromagnetic thruster called EmDrive. Also nicknamed as the ‘impossible engine’ it works via photons created by collision of electromagnetic waves creating the push. According to NASA researchers, this could help create a rocket engine that could reach Mars in less than 3 months. While it was considered to defy the fundamental laws of Newtonian physics, it still worked according to the research and development team. Nevertheless, they weren’t really able to go much further when trying to create a working prototype. But in a surprising twist, Chinese official national broadcaster CCTV posted a news that China Academy of Space Technology (CAST) has been able to recreate this technology. They also posted a video where they showed a working model of the EmDrive engine and how it works. SHOULD THIS BE CONSIDERED OFFICIAL? While this news was broadcast on a government channel, no official from the Chinese government has made any statement regarding the same. This also makes the research more ambiguous as there are speculations for this technology being used for things other than ‘Space Research’. Is This The Beginning Of End For BitCoin?